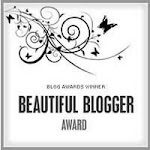 Changes With My Blogger Background, and not sure what to do, or what I want. Hello Everyone! 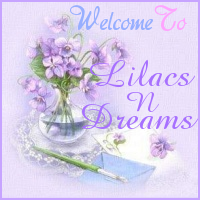 Bear with me as I feel like changing things just a little bit with my site LilacsNDreams . . . . Mainly the background. Not sure what I want yet. As the next few days go along here you might see the background change a few times. 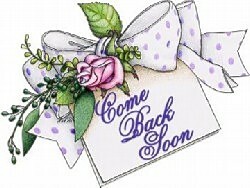 Don't worry, same place LilacsNDreams, just me going through a feeling of a change. Not sure what I want, if I want what I had before but just a little bit more toned down, something lighter, feel of vintage, hmmm . . . I still like having my lilacs coloring definitely, blues, pinks, shades of green/aqua, feeling of vintage, buttons, stitching, and Oh....I just cannot decide. Not too much floral, if any floral it has to be light, or not over powering. So, I search the internet, looking at things, trying to inspire myself, and etc. If you have any ideas I would love to hear them. I usually do my own backgrounds. I find something not copy righted, or I take pictures, download, use photobucket, and enter the code I need for the background with that CSS on blogger here. I am not a computer technie, so bear with me as I work my way through this. Hope ya'll had a wonderful Monday, and here is to having a sweet week! Thanks for dropping into LilacsNDreams, take care, and see ya'll again soon.